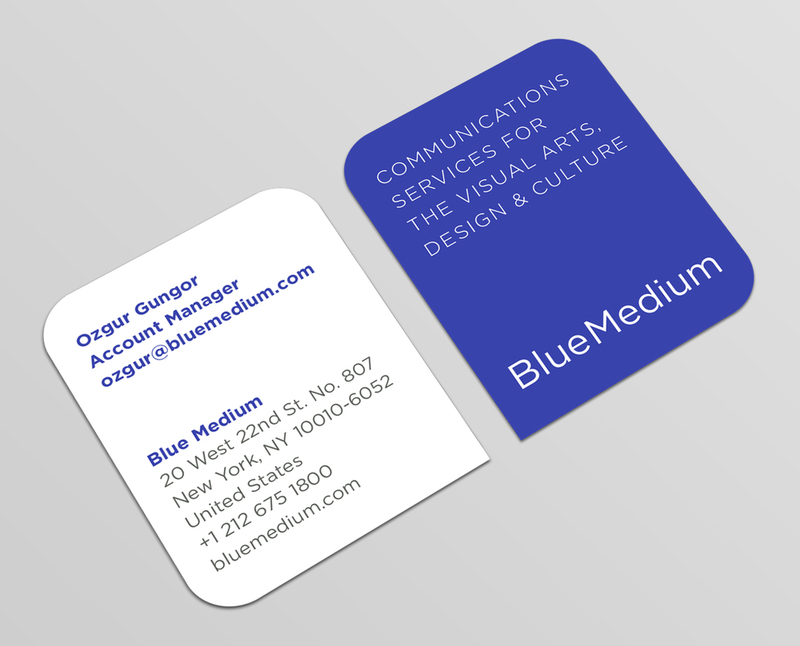 Blue Medium Communications Agency. Identity and Web Site Development. 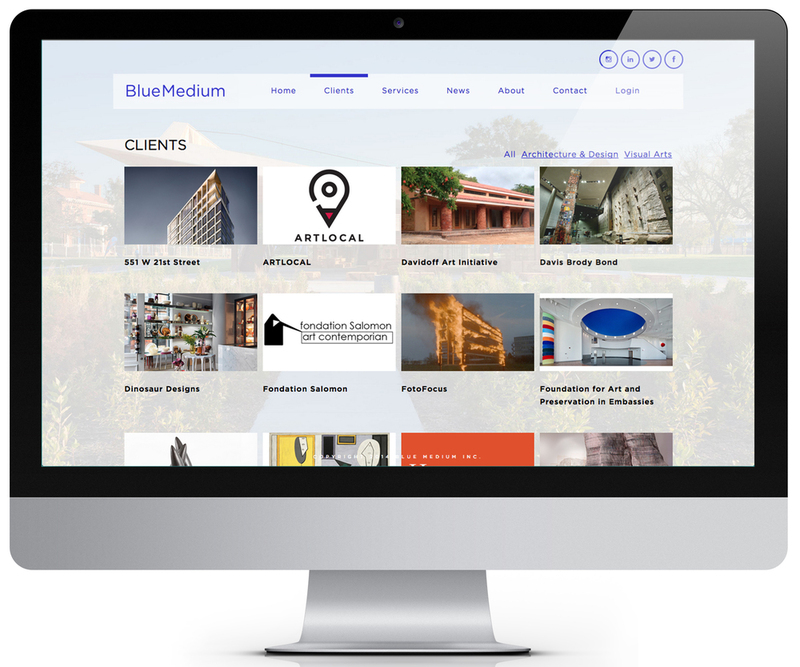 Blue Medium provides communications strategy and services for clients in the visual arts, design and architecture communities. 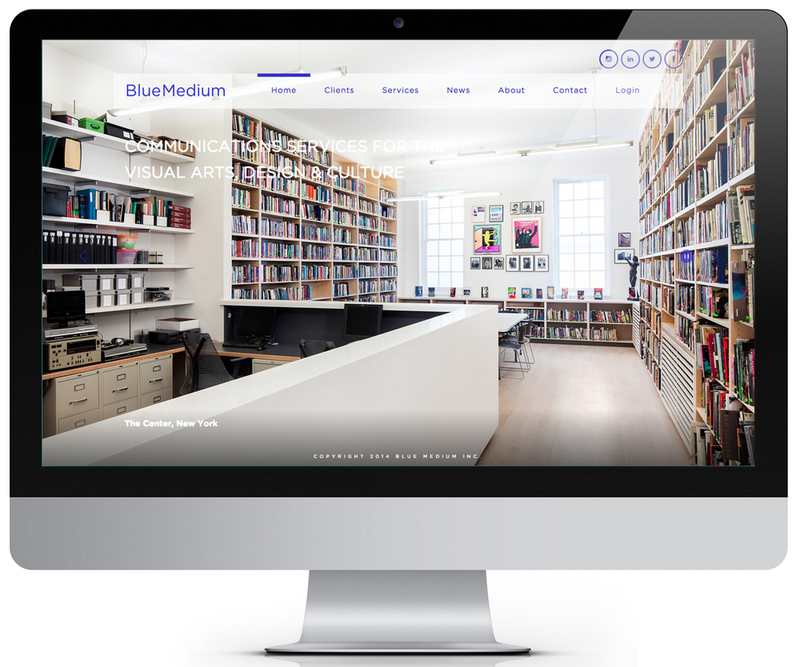 The firm represent national and international art museums, cultural institutions, foundations, biennials and festivals, architecture and design studios, auction houses, corporations, corporate and private sponsors of the visual arts, art fairs, and art galleries. Our new visual brand was created to match the visual signature of their clients brands. We leveraged the visual content of their work to give the web site a dynamic, up-to-date voice. The site was designed to be optimized from all viewing devices and formats. This responsive practice is present in all our current site design projects.